We are Shadowcatcher Imagery, a photography team based in Escondido, California we are available for work throughout the Southern California area. What better time for photos that commemorate such a special time in your lives. The first branch on your family tree! Our sessions are usually an hour long and are super fun and relaxed. We move at a slow pace because at this point your body is moving at it's own slower pace and it is easier to get tired out. We rest whenever you need a little break. Your Baby Bump session can take place either in the studio for a more private session or at the beach or park if you prefer a more natural type of setting. We like to recommend the studio if you would like to do more of an artistic type of session, a little more uncovered. 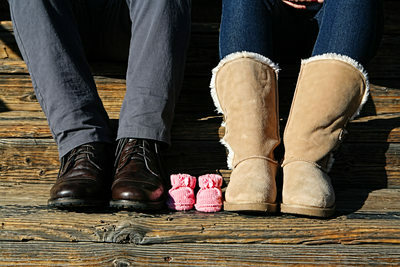 We love to do a combination of the two of you and then some special solos of Mom to be! If nature is a little more your style, we LOVE sunset sessions at the beach! The possibilities are endless, and can go as far as our imaginations take us! We typically recommend that for a session that truly reflects your personalities that you choose a location that has something meaningful to your relationship. Our sessions are not all about the two of you staring back in the camera like deer in the headlights, but instead a nice combination of shots where the two of you are just interacting together walking, talking, just being together. Our expertise allows us to capture just that right instant where he gives you that look ( you know the one) and you burst into laughter. Or that sweet moment when he grabs your hand and gives you that smile that melts your heart. Those are the moments that make amazing images! We love to suggest that our couples plan on two different outfits or looks for their session. For the PERFECT dress for a beach maternity session go to etsy.com and search maternity photo shoot gown and you will fine the one above! We are always happy to help out with suggestions on where to do your session. Depending on your style we know some great spots for maternity sessions. Parks, beaches, horse ranches, amusement parks, the sky is the limit and we always encourage our clients to think outside of the box. 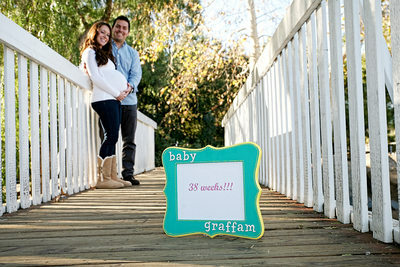 Our maternity session are $325 and include all of the images delivered digitally to you via a private gallery.